The British Government has announced plans to tackle the increasing problem of underage drinking, and is planning to prosecute parents who allow their children to drink in public. If proposals became law, anyone under the age of 18 “regularly” found with alcohol on their possession could face getting an ASBO (Anti-Social Behaviour Order). Parents who are unable to change their ways could either be prosecuted, or sent on parenting courses. However, the problem isn’t that simple, say a number of parents as well as opposition ministers. I know that the police will already move on groups of teenagers who are, or have the potential, to cause a nuisance, particularly as a result of alcohol. 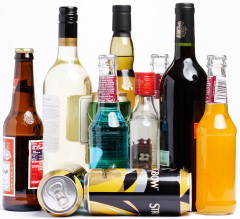 Of course parenting plays a role in a child’s upbringing, but there are so many other factors that influence someone’s attitude to and consumption of alcohol – the increasing number of “alcopops” and other “soft” alcoholic drinks, peer pressure from friends, portrayal of alcohol in the media and popular TV, and the increasingly ingrained drinking culture are key issues. Legislation may look good on paper, and may prove to be somewhat effective, but the real issues run deep in society, and unfortunately even good parenting doesn’t always protect children. The Government also plans to draw up guidelines for how much alcohol it is safe for children to consume under supervision of their parents at home.